Miranda Hart is well-known for her happy go-lucky attitude on screen, and her undeniable ability to make audiences laugh until they cry. The actress sky-rocketed to fame after the success of her own BBC comedy series, Miranda. 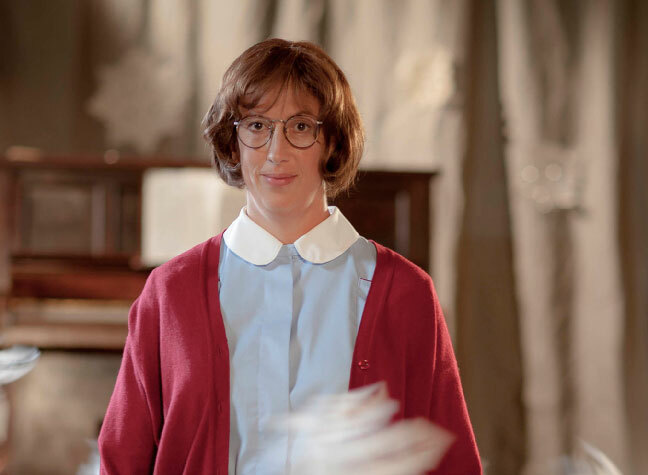 She then took on the role of Chummy in long-running BBC drama Call the Midwife. So it stands to reason that she’s applied her artistic talents to a brand new venture recently – a new children’s book, called The Girl With The Lost Smile. It’s Miranda’s very first foray into the world of children’s literature, and her very first book in the genre. It tells the story of Chloe Young, who has lost her smile. Despite looking everywhere for it, it’s only when she happens upon a ‘magical adventure’ that she might be on the path to finding it again. But Miranda admitted that, when faced with a blank screen and the need to finish her book last year, she was left feeling rather glum and “isolated”. In a recent piece written for You magazine, she revealed that experiencing troubling feelings while writing her book actually helped to inspire its plot. She confessed, “When a low mood sinks in, you find yourself almost revelling in the awful world news and feeling self-pityingly about the tiniest things. But despite these feelings, things have been going swimmingly with Miranda recently – she’s even recently finished a successful run as Miss Hannigan in the West End production of Annie. She added, however, that her own negative feelings helped her to empathise with people going through a similar thing. She wrote, “In this glum state, it struck me how there were so many people in the world for whom there is genuinely very little, if anything, to smile about. But sadly, it’s not the first time Miranda has experienced feelings of isolation and periods of low mood. The comedian has previously revealed that she suffered from anxiety and agoraphobia after graduating from Bristol University with a degree in political science. In an interview with The Guardian, in 2010, she admitted, “I thought the world was a bit scary. A sort of anxiety runs in the family. “I think I’ll always be a slightly anxious person. It’s just bad genes – bad luck, really. I’ll always have to force myself to see the positive, because I’m wired badly, I’d say. But Miranda’s anxious feelings have certainly made way for something positive this time around, given that she’s channelled her feelings into her exciting new venture. Oooh whoop, you can pre order my new book #GirlWithTheLostSmilehttps://t.co/M68KL86X6Z Just saying, because I am a little bit excited. And describing the new venture, she has admitted that it was “a story from the heart”. The Girl With The Lost Smile is out on 5th October.